Although its iOS and Android apps have been getting most of the attention, Facebook is apparently still friends with Windows Phone. 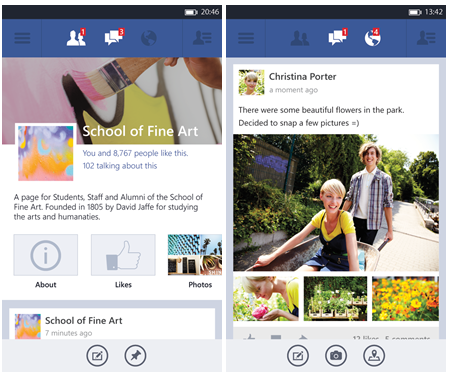 Microsoft said on Tuesday that there is a test version of updated Facebook software for Windows Phone 8. The beta software adds support for high-res photos, post sharing and the Facebook Timeline. However, the companies apparently mean it when they say beta. The app isn’t available in the Windows Phone marketplace, but is available via this direct link. Separately, an app geared toward to making it easier for folks to switch from Android to a Windows Phone has made its way onto the Google Play and Windows Phone stores. Developed by Quixey, Switch to Windows Phone helps ease the move and allows one to see which of their apps are available for Microsoft’s operating system.